Communication is the exchange and flow of information and ideas from one person to another. It involves a sender transmitting an idea, information, or feeling to a receiver. Effective communication occurs only if the receiver understands the exact information or idea that the sender intended to transmit. The communication has a vicious cycle which continues even after sending message to the respondents. The audience or the respondents may or get the same intended message as the speaker intends to send. This cycle ends only when they share their understandings and comments to the speaker about what they have understood. This process is called feedback. Feedback is essential in communication so as to know whether the recipient has understood the message in the same terms as intended by the sender and whether he agrees to that message or not. Receivers are not just passive absorbers of messages. 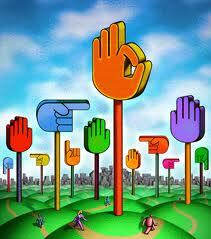 They receive the message and respond to about the subject matter about what they have understood. This response of a receiver to sender’s message is called Feedback. Sometimes a feedback could be a non-verbal, smiles, sighs and other times, it is oral. It can also be written like replying to an e-mail, etc. 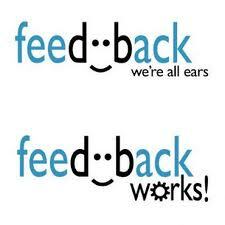 Feedback also enables us to evaluate the effectiveness of our message. It makes communication meaningful. It is the end-result of an idea and makes communication a continuous process. If our audience doesn’t understand what we mean, we can tell by the response and then refine the message accordingly. Giving our audience a chance to provide feedback is crucial for maintaining an open communication climate. The speaker must create an environment that encourages feedback. For example after explaining the job to the subordinated he must ask them whether they have understood it or not. He should ask questions like “Do you understand?”, “Do you have any doubts?” etc. At the same time he must allow his subordinated to express their views also. Feedback has a great role in the organizational point of view also. There are lots of ways in which company takes feedback from their employees, such as: Employee surveys, memos, emails, open-door policies, company news letter etc. Employees are not always willing to provide feedback. The organization has to work a lot to get the accurate feedback. The managers should encourage feedback by asking specific questions, allowing their employees to express general views, etc. The organization should be receptive to their employee’s feedback. Static communication creates a vacuum. The speaker assumes the message is received but has no feedback from the listener. This lack of feedback means the speaker fails to modify the message to help the listener better understands the speaker’s attitude and position. When businesses fail to create open feedback channels, they operate in a communication vacuum. Management and owners can’t improve their messages to employees, and workers aren’t able to ask questions about operations or make suggestions for business improvement. In general, we can quantify the following importance of feedback in communication, either in a formal or informal setting. 1. It completes the whole process of communication and makes it continuous. The basis being established here is that, feedback is the livewire of communication as communication is the livewire of human existence and interaction. The process of communication finishes only when the vicious cycle ends up with feedback. Thus, feedback should be carefully considered before being put forward due to its significance.